If you love anything floral-shaped, then this Aspen Boho Necklace Set belong in your bijoux box. 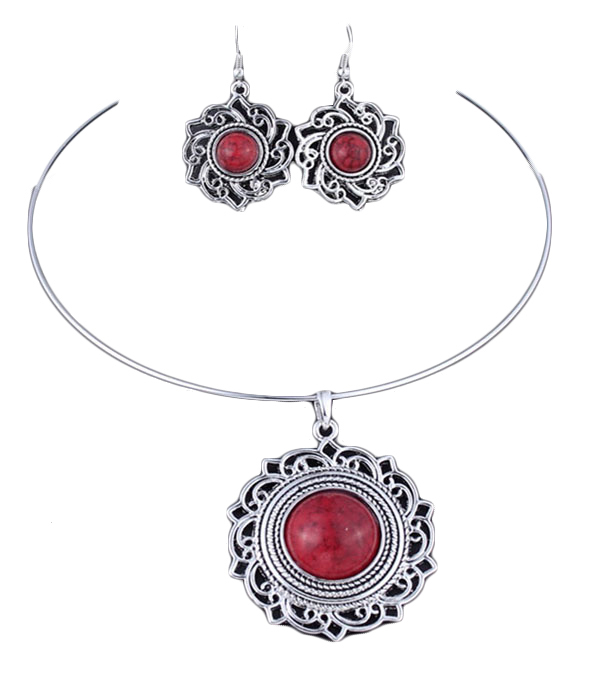 The red formica stones and filigree design will brighten up your outfit. Our necklace sets are of the highest quality and come with a hassle free exchange policy.